You’ve been hearing about domain names a lot lately, haven’t you? From services like PayPal.Me to giants like Google launching their corporate blog on branded domains such as Blog.Google. So what is the deal, and why are domain names, especially new domain names like .bike, .photo or even .me so talked about these days? In the early days, when Internet was in its infancy, a challenge presented itself – how to establish a system that would identify each computer on the web and allow them to communicate with each other. Imagine having all people in the world but without the way to talk between themselves. To solve that problem, we created phone numbers and directories that would connect people to their phone number. Same as with people, we had to find a way to identify each computer and locate it in order to make sure it receives the information intended for it. 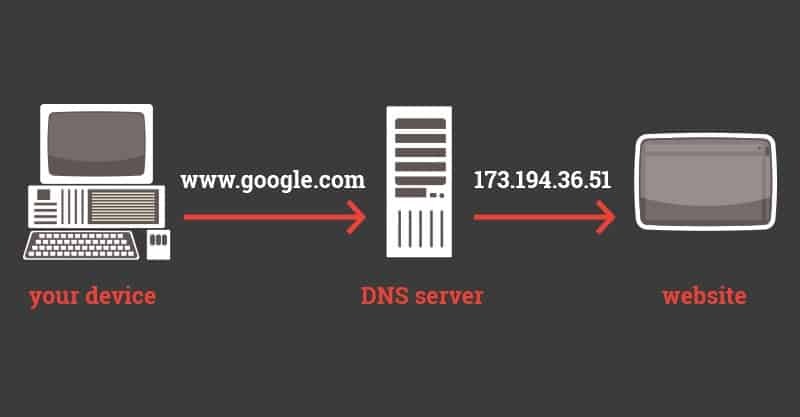 Instead of an old-fashioned phone book, we created DNS. For example, the address of this website is 50.63.201.97. Imagine if we had to put THAT on all our promo materials. Who would remember it? Each computer is assigned their own address, an IP address, in a form of strings of numbers. Same as with telephones numbers really – just like every person has a unique telephone number, computers have an IP address people use to reach the websites on them. Can you spot a little problem there? Imagine if you had to type this, for many completely non-sensical, string of numbers into your browser each time you wanted to open your favorite news portal. Even worse, imagine if you had to remember several of those. To make the whole process more human-friendly, we created domain names, a human-friendly equivalent of IP addresses. Your domain name is the first online point of contact of your brand with your customers. Your domain name is connected to the specific IP address of your website – it serves as the online address of your website. The domain name of this website is “domain.me”. That’s what you type in your browser every time you want to check out the latest posts on our blog. For Apple, that is “apple.com”. For Bright Side, that is “brightside.me”. 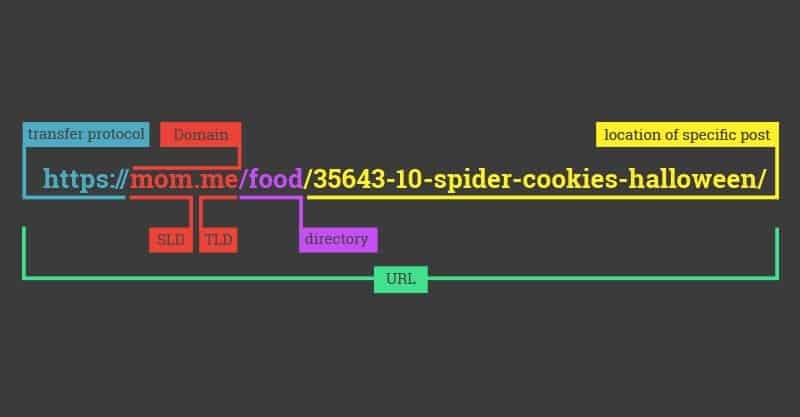 Still, the easiest way to explain what domain names are and what they are not, is to look at the anatomy of a URL. URL or Uniform Resource Locator is the whole string of letters and numbers. It points to a location of a specific page/image/video, or resource in general, on the web. As you can see, it’s comprised of several components, all of which let the server know which resource you want and in which format it should be presented in. mom.me is a domain name. Now we are talking! Domain name consists of two parts, a second level domain (SLD) and a top level domain (TLD). A second level domain is the name of your website, “mom” in this case, or “domain” in our case. Everything that comes after the dot is a top level domain, sometimes called “domain extension”, and in this case that is .ME. Together, SLD and TLD form what is considered a domain name or your website’s address. Everything after the domain name is used to identify the location of specific content within a site. Where you would have shelves in your closet, when is comes to websites, you have different pages or blog categories. In this case /food/ is a blog category and lets us know that the post belongs to that category. This part is called a directory or folder. 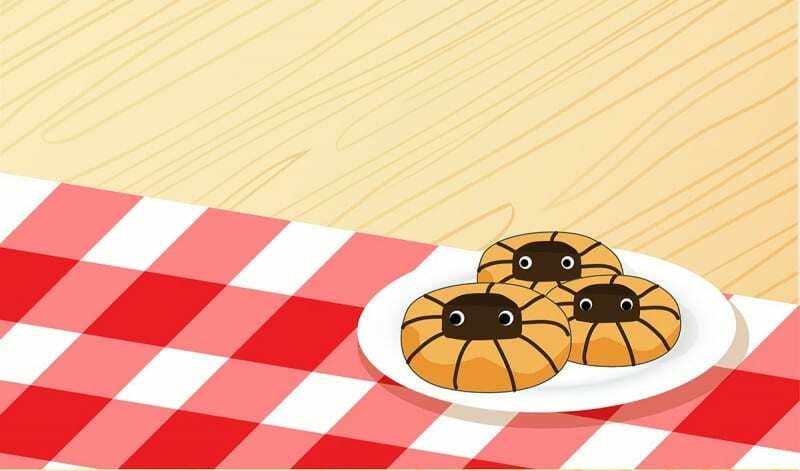 The string of numbers and letters that come last, /35643-10-spider-cookies-halloween/, are locating our spider cookies tutorial and lead us to that specific blog post. Just because you have reserved an address at Fifth Avenue, does not mean you have a piece of land there, not to mention a store or a house. One of the most common misconceptions about domain names is that by registering a domain name, you automatically get a website. Unfortunately, that is not how it works. As you have seen, domain names are a vital part of the online world, but they function similar to street addresses. Just because you have reserved an address at Fifth Avenue, does not mean you have a piece of land there, not to mention a store or a house. A piece of land would be a hosting, space you buy on a server (here it is again! ), while the store/house would be your website. When you want to build a website, you have to follow these three steps. First, you buy a domain name with your registrar (such as GoDaddy, NameCheap, Name.com), second, you get a hosting plan that fits your needs (for example, the space that you need will depend on the size of your website) and then you build a website. That website can be a one-pager, a blog or a full-blown website. You can also use your domain name to create branded short links. Time Magazine uses “ti.me” when sharing their post on the web. That way the keep all their short links branded. You can learn how to do it here. Alternatively, you can use your domain name for your personal email address. 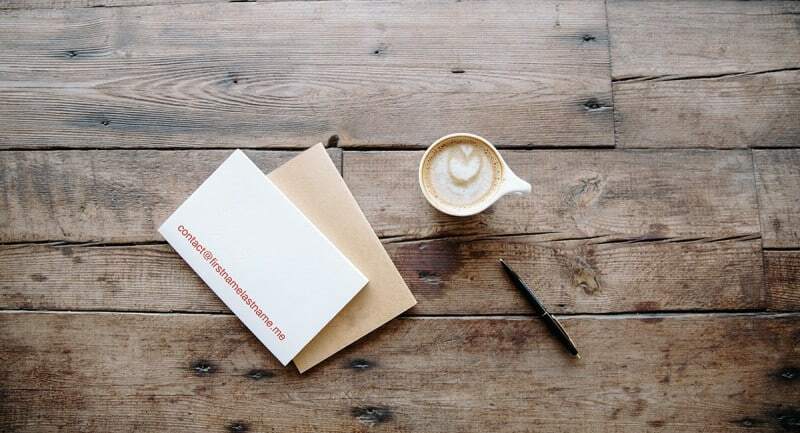 You can connect it to your website or use it for email exclusively in contact@firstnamelastname.me format, for example. The reason why domain names are talked about more these days than ever is because there are more domain name extensions available than ever. At the moment, there are more than 1000 domain extensions to choose from – .ME is one of them. Most of them have the same SEO benefits as old domain names (.com, .org, .net…) and users like you are recognizing them as well. Most importantly, big brands are no longer feeling the constraint of limited choices and they are increasingly trusting these different domain extensions to help them build their online brand. Some of them you can see featured here in the “Success Story” section of our blog. Domain names are a vital part of the online universe. Same as physical addresses direct us towards our favorite stores or a friend’s home, domain names do the same for our favorite online stores or a friend’s personal website. A domain name is not the same thing as a URL and certainly not the same thing as a website. Domain names are an important part of our online brands so it’s very important we get them right. We can make them memorable and meaningful… or not. Currently, there are more than 1000 available domain extensions. There is nothing stopping you from getting creative! Personalization: The Future of MarketingDo You Know Everything About URL Structure? Remind Yourself!